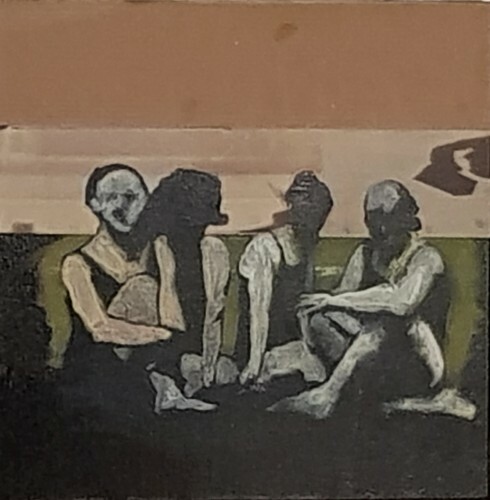 Over the years that close friends and fellow painters Karl Amundsen, Ross Ritchie and Frank van Schaik have been consistently exhibiting at Northart, a number of people have commented on the correspondences in the work of the trio. It is certainly true that the group meets often to discuss art, but none of them produces work informed by the other. What they do however share, and what in some way influences all of them, is an abiding interest in artists such as Frances Bacon, Michael Andrews, R.B. Kitaj and Munch, and those that preceded and influenced them. For their group show, each will exhibit three new works.